England is facing changing health demands due to an ageing population and the NHS must quickly adapt, says Public Health England. It has compiled what it calls "the most comprehensive picture" of the nation's current health and future fitness. It shows England's population is growing in size and people are living longer but not all in good health. While smoking rates may be decreasing, diabetes, obesity, dementia and mental health issues are on the rise. 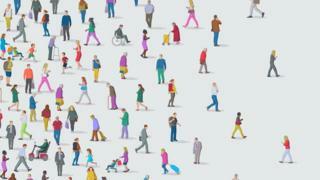 The Health Profile for England report shows average life expectancy has reached 79.6 years for men and 83.2 for women. In 2017, there were 1.35 million people aged 85 and over in England - nearly three times more than in 1971. By 2031, it could exceed two million, says Public Health England. But the number of years that people live in poor health is also going up. Latest data suggests people can expect to live about 63 years in good health. That means men face about 16 years of ill health - a fifth of their life - and women more than 19 years or nearly a quarter of their life in poor health. Age-related diseases, such as dementia, have been increasing. Dementia, including Alzheimer's disease, is already the leading cause of death in women and it looks set to overtake heart disease to soon become the biggest killer of men too. Hearing loss, sight loss and muscle and joint problems have also gone up. But heart attacks and strokes have gone down, as blood pressure and cholesterol levels have improved. Obesity and smoking are the two leading risk factors for ill health. While smoking rates have been going down, rates of obesity have been going up. In 2016, one in four adults was obese - and Public Health England expects levels of adult obesity may continue to rise. The number of people with diabetes is also rising and is expected to increase by a million to reach almost five million in 2035. Poor mental health is also taking a significant toll. In young people, mental health problems, such as depression and anxiety, along with substance use, now account for a third of all ill health. Inequalities in the health of the population also persist. People in the richest areas of England enjoy more than 19 years more good health than those in the poorest. Prof John Newton, director of health improvement at Public Health England, said: "The challenge now is for the NHS to respond to this changing landscape and to focus on preventing as well as treating the conditions which are causing the greatest disease burden across our nation. "In many ways it needs to respond more quickly than any time in its history because the speed of the change in these data, in the epidemiology, is really quite remarkable." Prof Helen Stokes-Lampard, who chairs the Royal College of GPs, said: "As this report shows, there are a number of reasons why some people are more likely to develop these conditions than others, including genetic predisposition and socio-economic factors - but there remains a clear connection between the quality of our patients' lifestyle and their overall health. "It's so encouraging to see that smoking prevalence has dropped to just 15% over the last seven years, for example, but the chances of people developing illnesses like diabetes is still worryingly high and frequently is the result of poor diet and lack of exercise as well as genetic factors." She called for more investment to help the NHS deliver the care patients needed and deserved.